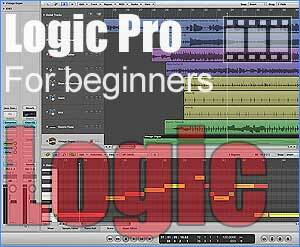 Apple Logic Pro Free Tutorials: Chapter-1 - Arrange-Page-1 - General introduction to Logic 8. The Arrange-Page layout, design and workflow, grid, snap & drag menus. There are a total: 17 comments posted to this page. Great tutorial....very helpful. Let's have more !!! chapter. Looking forward to the next, roughly when will it be up ? Whats my mail address doing in the above comment ? I didn't expect that ! I have no problem using key commands to open th other windows/panels. the next set of videos when they are done! Awesome! Thank you for this -- learned a lot from watching. Hope you find time to create/post part 2. Awesome tutorial! Many thanks. Eagerly awaiting future chapters. Thanx a lot, this was really helpful to me! Hi just bought this programme and was just a little put off by the seeming complexity of the manuals that are supplied. Consequently looking around for a more user friendly alternative and stumbled across your tutorials. Compared to the professional companies that supply this type of training you've got it dead right. Clarity of topic and voice modulation actually keep me awake and interested, can't wait for the next chapter! nice one! thanks for taking the time to teach some free lesson's! cheers. are there going to be any more following up and going deeper? delivery is quiet, crisp, easy to follow. I look forward to watching each of your lessons available on youtube. you're tutorials are just so good! i'm really pleased with your teaching way!! Narrator talks too soft at times. Combined with fast Brit accent, makes him hard to understand. Video of Logic Pro screen is too small to read. When expanded it is hard to read due to fuzzy resolution. Also, cannot follow along with my Logic Pro running - even on 21" iMac. Many terms are not defined and are necessary for understanding the next step. In short, the presentation has too much detail and moves too fast for a Beginner 1 video. This would be more appropriate in later chapters. I'm an electrical Engineer and amateur musician, so can follow complex music tutorials. With my comments in mind, this could be a very valuable resource for all Logic Pro users. Pro running - even on 21" iMac. Beginner 1 video. This would be more appropriate in later chapters. watch again and again and again until you "get it" 100%. bloody lazy, and yes that's my response as a qualified teacher.